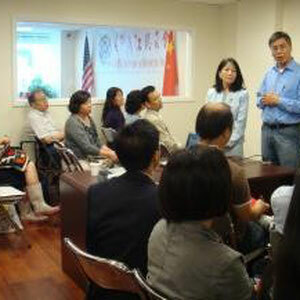 On the afternoon of Sept. 24th, the lecture attracted more than 50 overseas Chinese people. It was a pleasure for ZCCA to invite three professionals to hold the lecture. Mr. Jia, the manager of United Tax Services, explained how Chinese merchants start their own business and the problems that may happen. 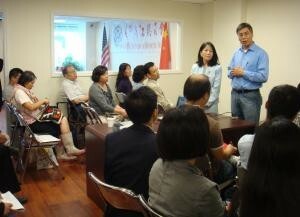 The vice president of ZCCA Mr. Li shared his success in starting a business. 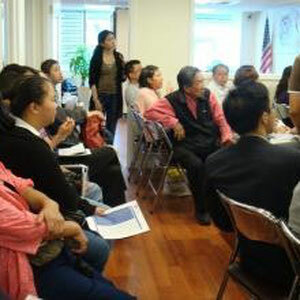 Li-man Kuo, the Chinese representative of Small Business Administration, talked about how to cooperate with American government. Finally, they all carefully answered the questions that our guests have. 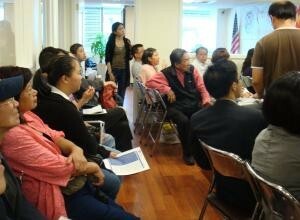 The next lecture will be held on Nov. 5th at 10i 10Fl Queens Crossing.